When customers and employees think of your business, even the minor details can leave a lasting impression. 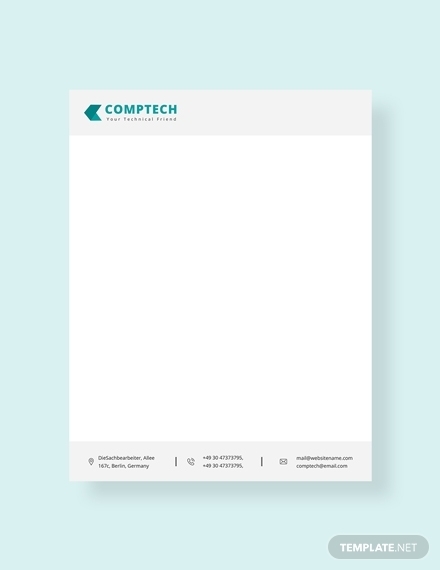 One way to exhibit professionalism and creativity when corresponding with a stakeholder is to use a letterhead design. This gives a face and a name to a corporate entity, allowing recipients to feel more connected to the business. To add further value to a correspondence, it’s important to design a letterhead that’s worth the attention. 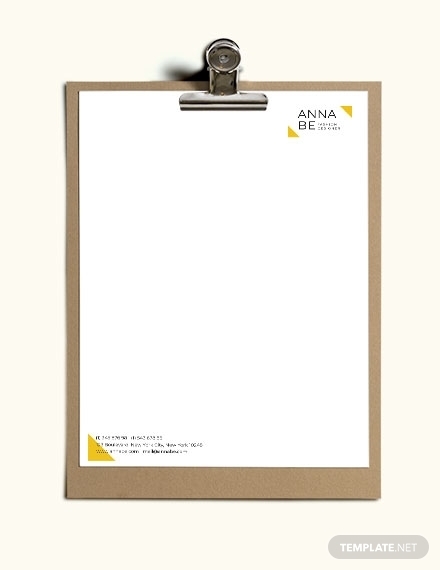 This should capture your corporate identity and add a visual interest to your letters. 1. 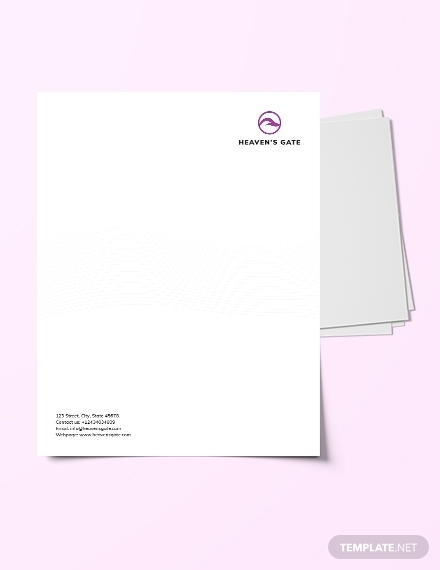 Name: Whether it’s a company letterhead or a personal letterhead, the letterhead should make your identity known to the receiver. The name indicated in the heading should match the official name of your business to avoid confusion. You must also avoid using abbreviations unless applicable. In addition to spelling out your complete name, your job title should be included in the correspondence as well. 2. Address: Like any business letter, your address must be written accurately in your heading. This should be updated regularly to ensure that recipients are informed of your current mailing address. This may also be useful for when a stakeholder would want to make an appearance at your office to discuss a private matter in person. 3. Contact Information: There are other ways to communicate with stakeholders apart from letter writing. This can be through your phone, email, or social media handles. Considering the limitations of communicating through letters, it’s important to provide your audience with some other means of contact. This will make it easy for them to get in touch with you regarding any questions or concerns that need to be addressed directly. 4. 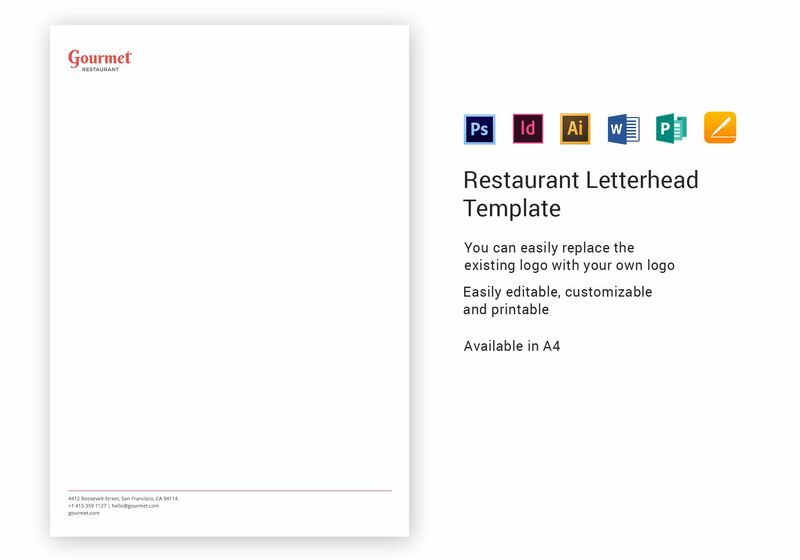 Logo Design: Letterheads are known to be a branding tool for corporate exposure. 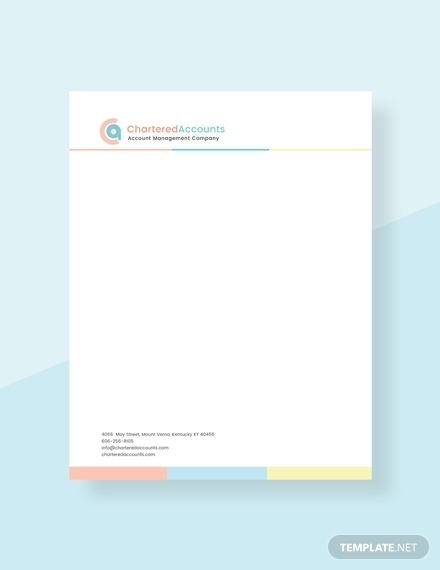 Including a company logo in your letterhead is a great way to visually represent your brand. This helps the receiver identify and recognize your company even without the correspondence. 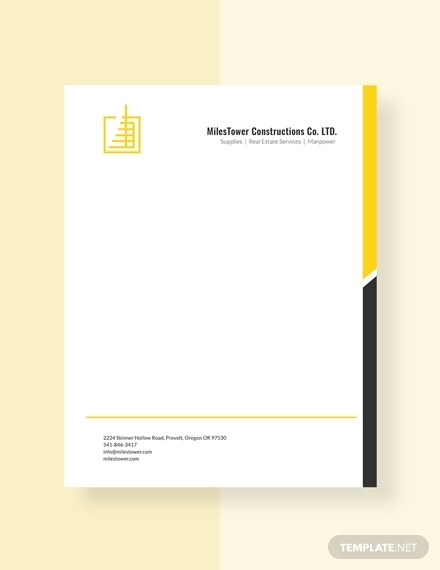 There are even cases where businesses who have already established themselves in the market simply use their official logo as a letterhead. 5. Corporate Colors: Aesthetics play a key role in maintaining professionalism with your letterhead design. 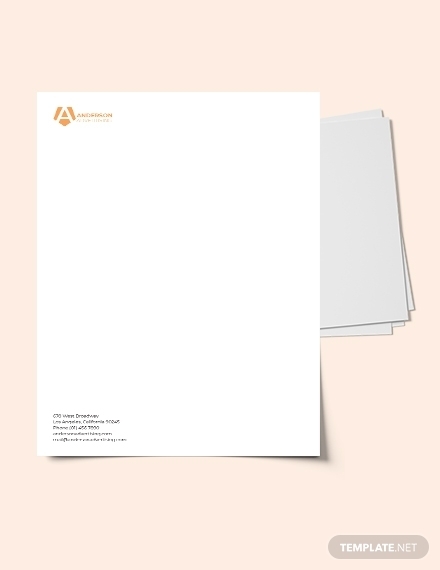 Although letterheads do not hold the same level of value as the actual message of your letter, they can influence one’s perception toward you or your business. 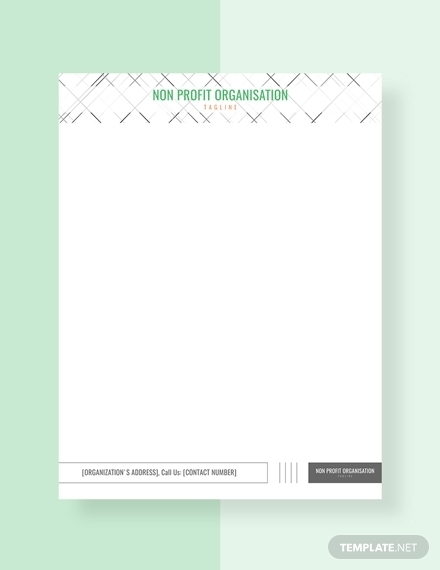 Bear in mind that your letterhead will be the only section with color. Thus, choosing corporate colors is highly advisable to draw attention toward your brand. 1. 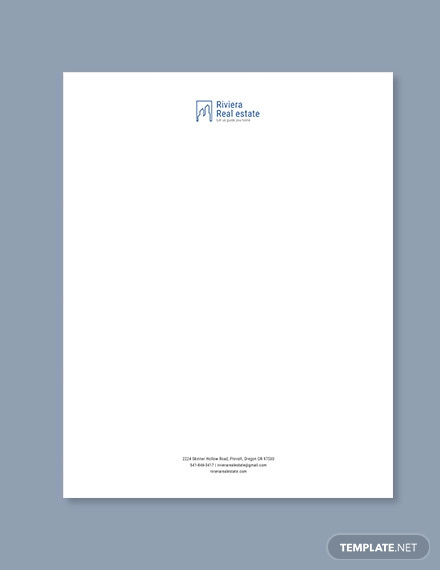 Pick a size and shape: A letterhead typically runs across the top of your stationery, so make sure to choose the right dimensions. 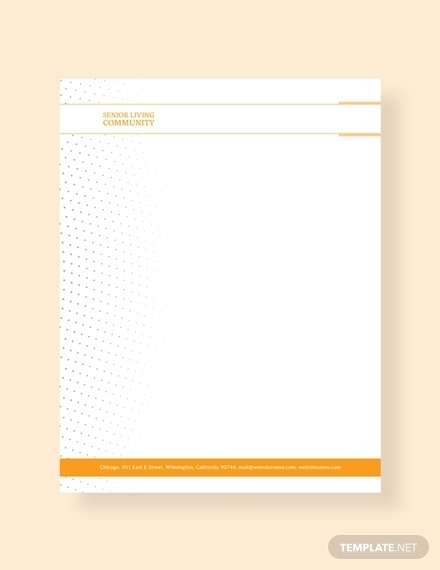 An ideal choice would be a landscape-oriented rectangle as it contains enough space to fit multiple lines for each element of your letterhead’s content. You can also opt for a portrait-oriented style if you don’t have a lot of details to include. 2. Select a theme: Choose a theme that best suits your company. This should give your audience a good impression of your brand, especially if it stays consistent with the traits you embody. It’s best to choose a theme that recipients can easily recognize as your brand, specifically in terms of color choices. Learn more about how you can incorporate this by studying the basics of color psychology. 3. Personalize your design: Illustrations and other forms of graphics are always a good addition to your business letterhead. Look for an image to accompany your business name and information by browsing through a stock photo library online or from your personal library. But if you already have a business logo available, you might want to use that instead. This should be simple and vibrant to ensure a high-quality outcome. 4. Choose a font: Fonts can be pretty tricky in the world of design. They can either make or break the appearance and readability of your letterhead in the best or worst way possible. It’s important to pick a font that promotes brand consistency, which can be the same font that you use for your official logo or company signage. Be sure to keep it bold and eye-catching to garner a reader’s attention. 5. Save the file: Once you are satisfied with your letterhead design, remember to proofread your text and make the necessary adjustments immediately. You might have included the wrong address or number in your heading, or you might have even spelled your name wrong. To prevent these costly mistakes from ruining your final letterhead prints, make sure to double-check your content at all times. You can also save a copy of the letterhead on your computer as a template for future use. Get inspired: Part of the creative process is to gain inspiration from the works of other artists. Borrowing another person’s ideas is fairly common in the world of design, just as long you aren’t copying every single aspect of their work. See how some of the most popular letterhead designs are made and grab a few ideas to make your own. Adapt to your audience: While you’re busy perfecting every aspect of your letterhead design, never forget to consider who you’re sending the letter to. If you’re corresponding with a corporate entity, you might want to choose a minimalist layout for a more formal approach. Adapting to the style of your audience will let you come across as professional and measured in the eyes of receivers. 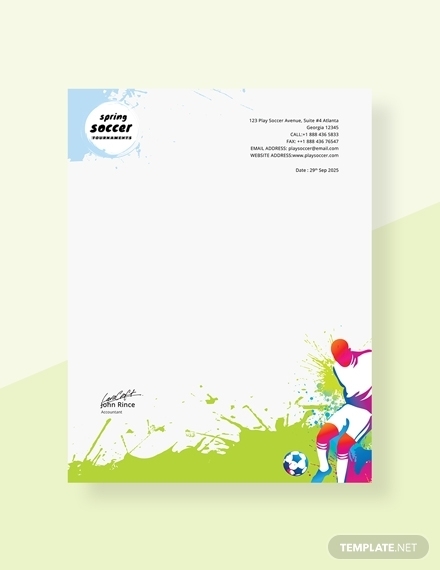 Embellish it: If you really want a letterhead that’s worth the attention, look for a printer that is capable of producing special printing effects. 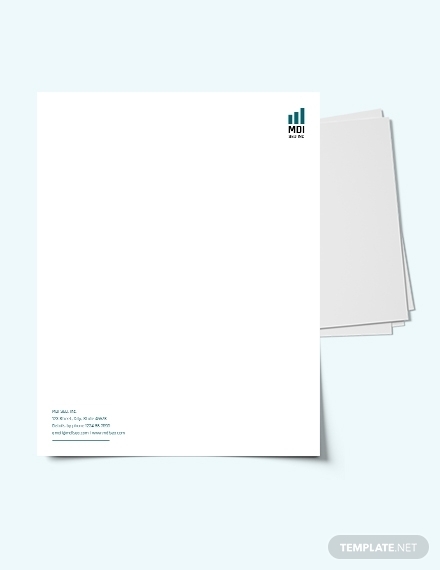 Some unique letterhead designs go beyond the norm by featuring full-bleed printing, which is great for obtaining a creative layout. 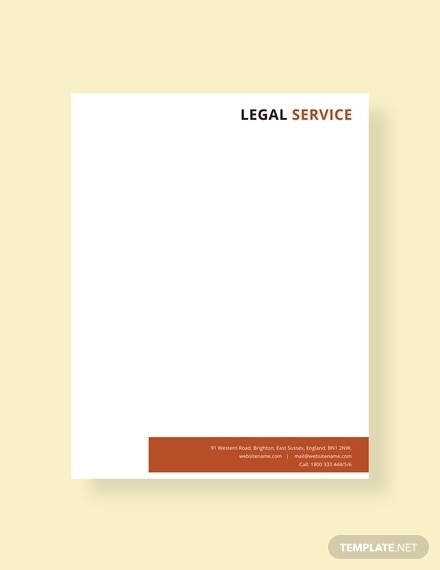 You can also use a special type of ink to create a letterhead print that radiates a sophisticated and distinctive look. Use meaningful imagery: The creative use of positive and negative space can be quite challenging for most designers. But with careful planning and execution, you can use imagery to convey a message that is particular to your brand and audience. Make sure to experiment with different design styles and techniques to find the appropriate visuals for your brand. Pick an accent color: A great way to brighten up the monotone appearance of your letterhead design is to change the whole mood by including an identifying color as an accent. 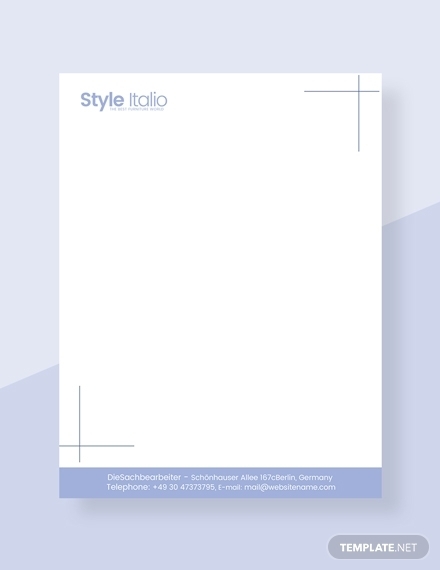 This gives your letterhead a fresh, modern vibe that your audience is sure to notice. 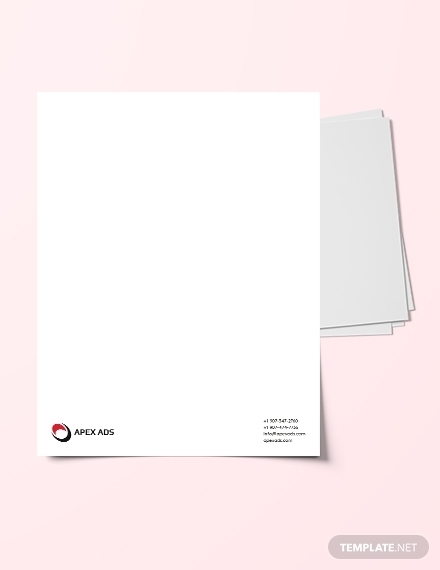 Standard Letterhead: Official business documents that are sent to a general or widespread audience typically use a standard letterhead. 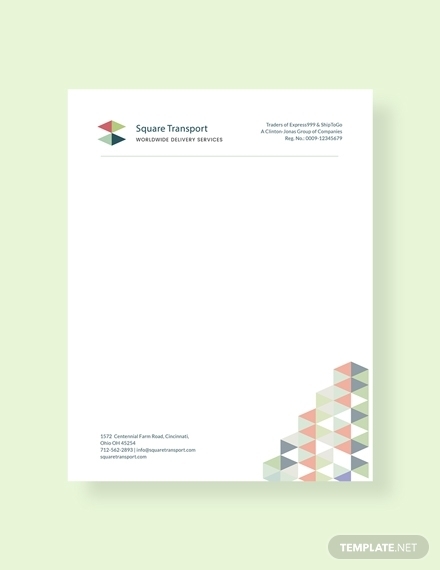 Whether it’s a letter, a notice, or an invoice, a standard letterhead should include the name and address of the company, as well as a logo or watermark. 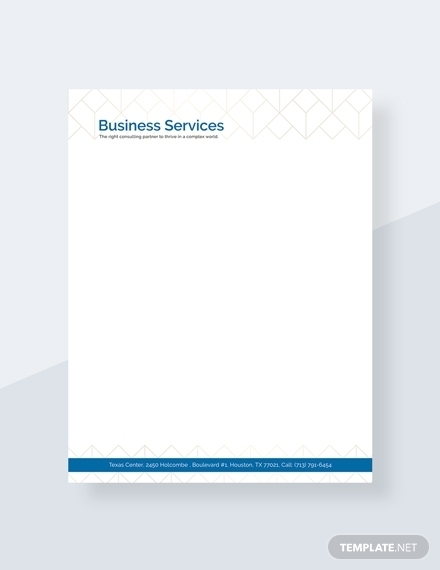 These letterheads may be used for an internal (administrative) or external (service-oriented) correspondence. 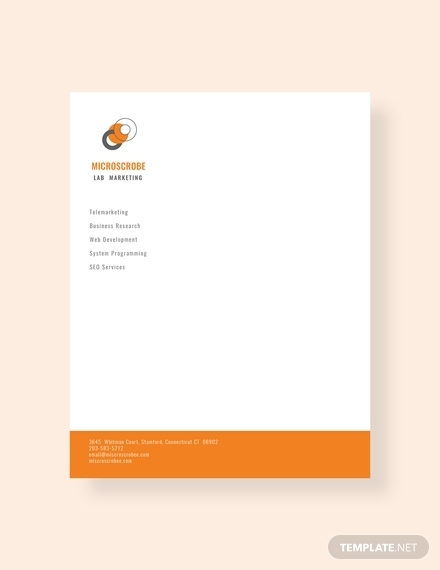 Specialized Letterhead: These letterheads tend to be more specific compared to the previous type. This indicates the exact department from which the document is written and sent. It contains the same information found in a standard letterhead, with the addition of the name of the specialty department, as well as an image or logo particular to the said area. 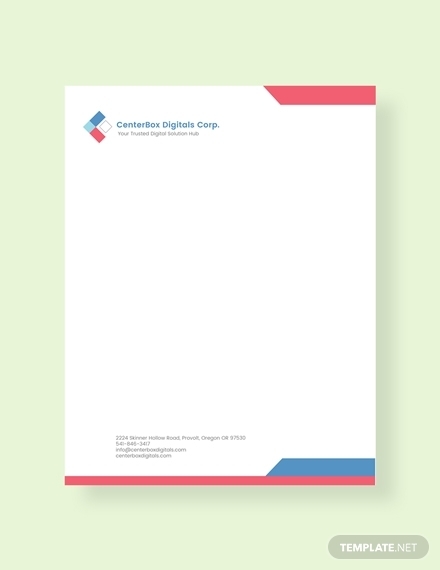 Custom Letterhead: A custom letterhead, which may classify as a personal letterhead, is often used for memos and presentations to identify the exact source of the document. This can also be used by managers and supervisors to communicate with independent contractors. 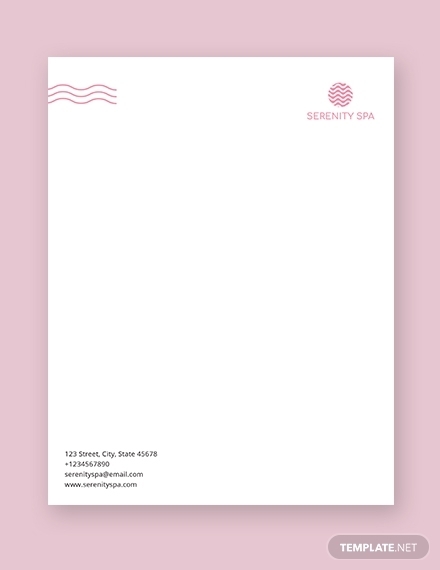 Along with the basic elements of a letterhead, a custom letterhead also includes the name and contact details of the sender. 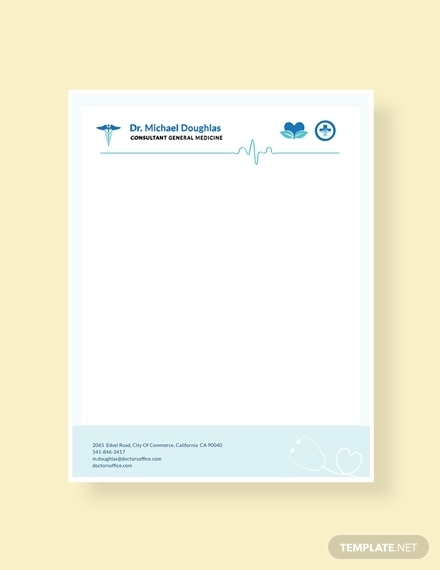 Executive Letterhead: For personnel who hold a director-level position at a company, these letterheads may be used to correspond with internal and external recipients. It can be used for various purposes, such as in termination letters and offer letters to employees. 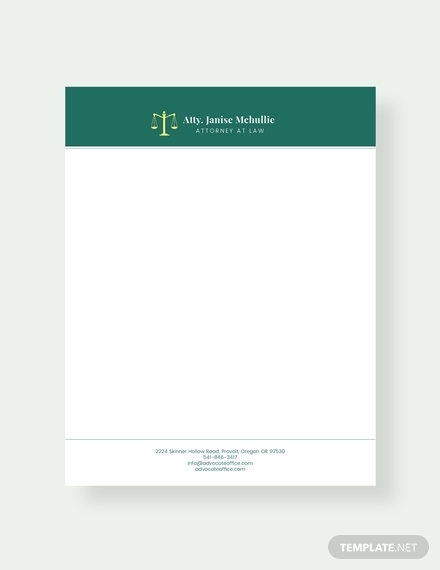 Those who receive communication from entities with this type of letterhead tend to respond more appropriately due to the level of formality and power that it holds. 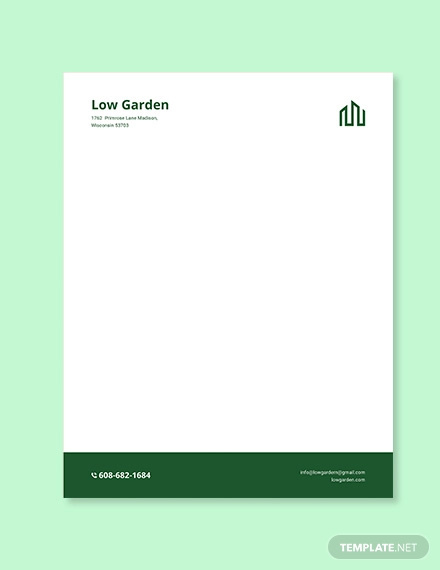 Even the stationery used for this type of letterhead is of higher quality. 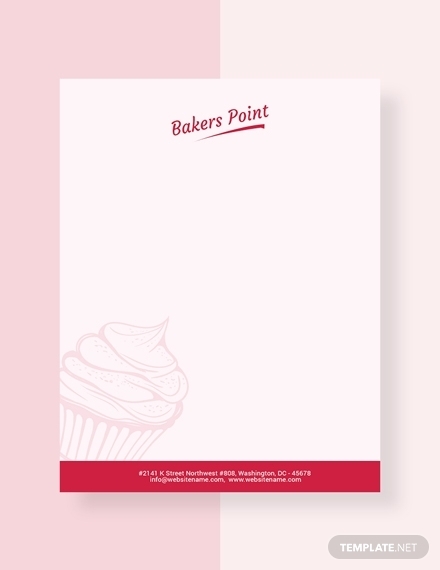 What should a letterhead include? 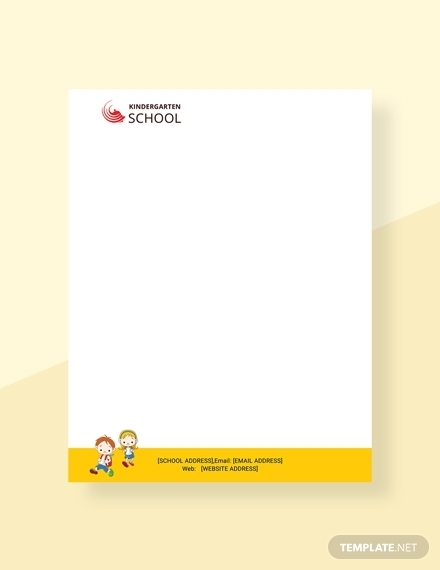 A letterhead is the heading located at the top of a stationery. It contains the name and address of the sender, along with a logo or corporate design and a background pattern. This is used to give written communication a professional appearance during a formal correspondence. Though they may look pretty simple, designing one can be quite tricky for those who have little to no design experience. 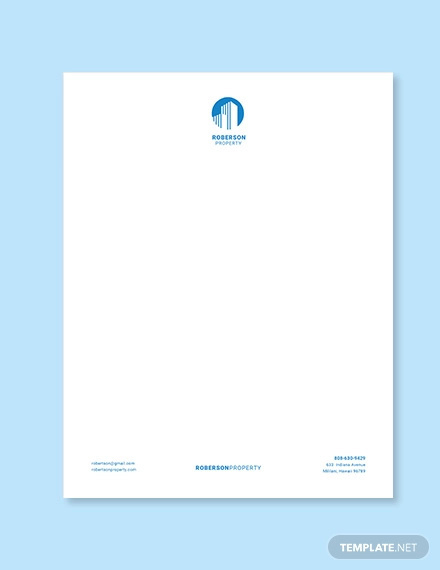 What is the purpose of a letterhead? 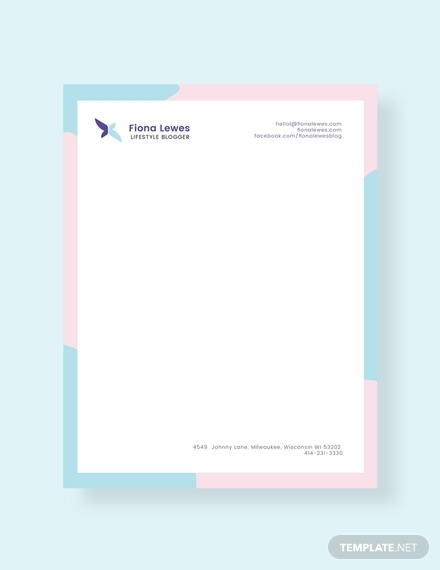 Other than its intent and purpose, a letterhead is considered to be an important part of a business letter. It can be used as a means of advertising and branding for your business. 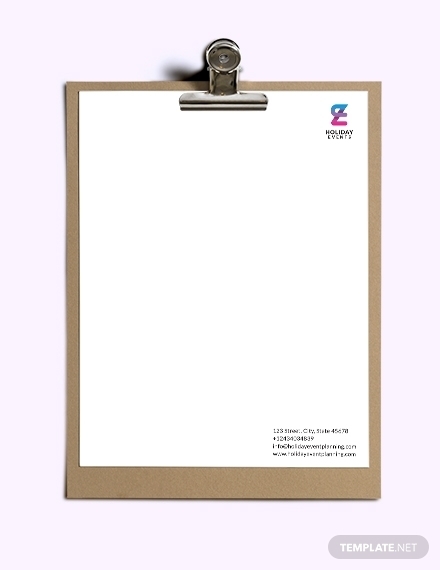 Creative letterheads have the ability to make a lasting impression with your clients and business partners. It’s the first thing that recipients notice as soon as they open your letter, drawing attention to your business logo, company tagline, and name. 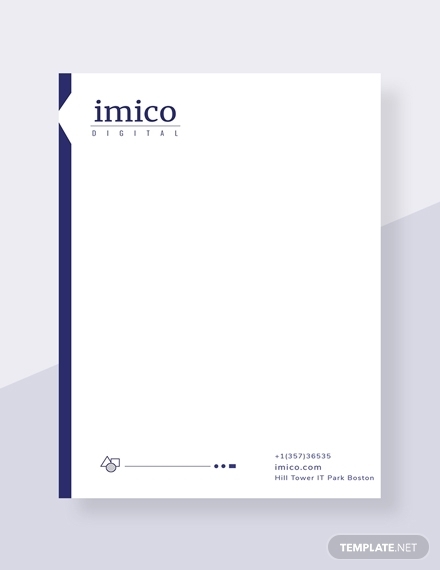 What is the importance of a letterhead? 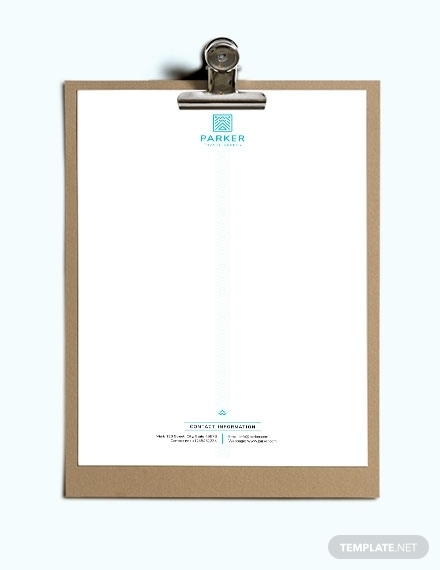 A letterhead can say a lot about your brand image. It plays an essential part in your company’s sales and marketing communications strategy through its depiction of professionalism and credibility. These days, more people are designing and applying letterheads to their documents not just at work, but for their personal use as well. This builds an identity that others will come to recognize and remember for future correspondences. So what are you waiting for? Leave a lasting impression with your stakeholders by using the templates provided in this article.